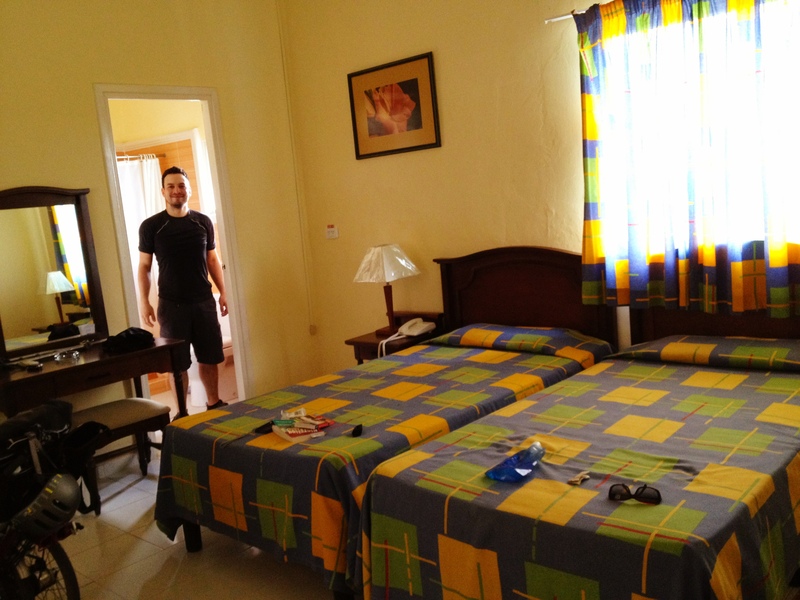 The night before leaving Soroa, we booked a room in the only hotel in San Diego de los Banos – Hotel El Mirador. I had no idea if there were casa particulars, and since we didn’t have camping equipment, thought it best to book ahead. It was. The town was pretty much closed. Peso pizza stands were boarded up, much to the disappointment of our stomachs. We saw one sign for a casa particular, but no one appeared to be home. And everything else? Well, that’s about all there is in San Diego do los Banos. 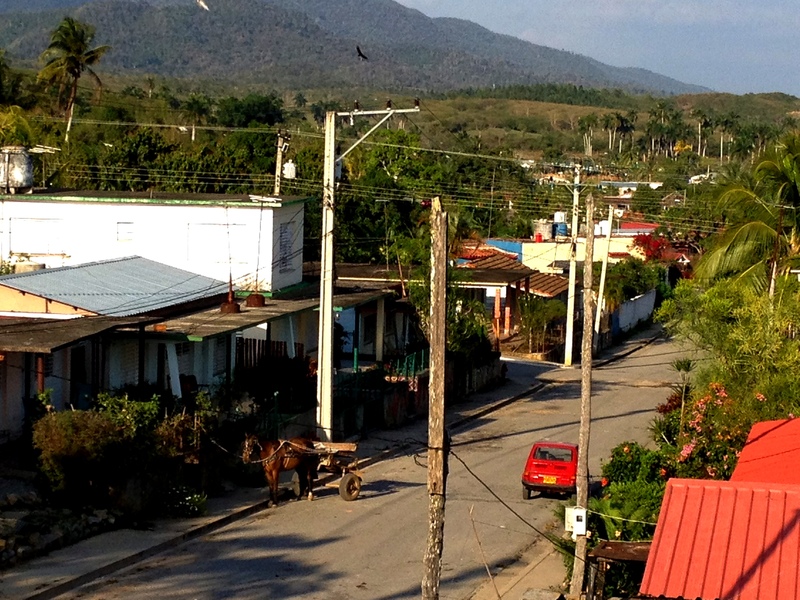 At one time this was a hopping tourist town, with big hotels, but except for Hotel El Mirador, the other three we saw in our brief tour around town looked abandoned. Then again, a lot of buildings look abandoned in Cuba that aren’t, and indeed one of these crumbling old hotels had people inside. Not tourists, but locals. Maybe they just live in it now. Sorry for the lack of pictures. I wish I’d taken some, but I didn’t feel comfortable stopping and taking photos. It seemed rude somehow. 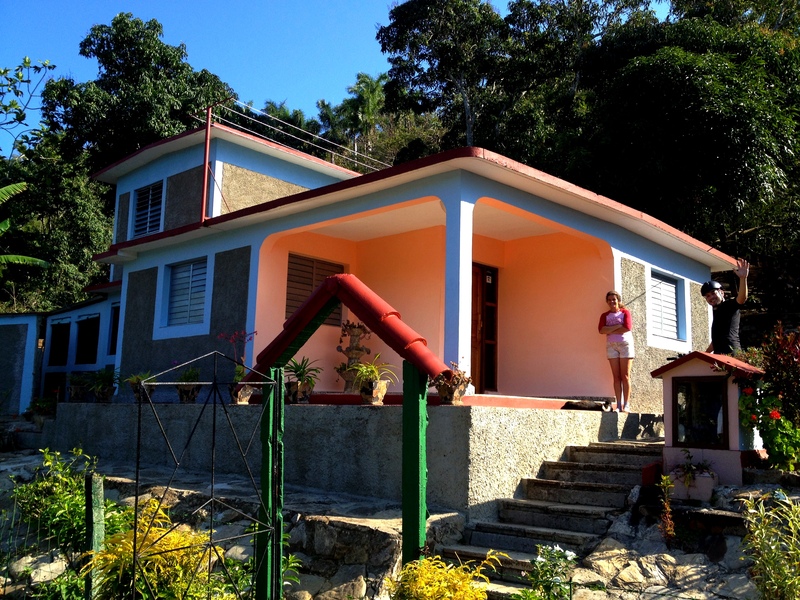 Waving goodbye to Dunia at the casa particular in Soroa. Riding past the mountains, glad not to be in them. 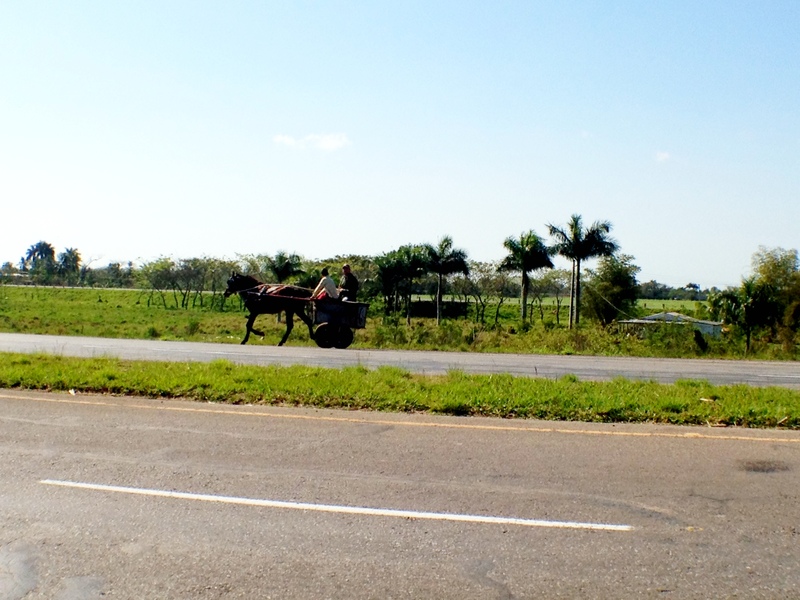 Common vehicle on Cuban highways: horse and cart. According to our map, the Autopista and the Carretera Central crossed, but if they did it was an overpass not an exit ramp because we missed it. The exits we did see were all dirt roads, but we needed to head north so we took this one to get onto the Carretera Central to Fierro. 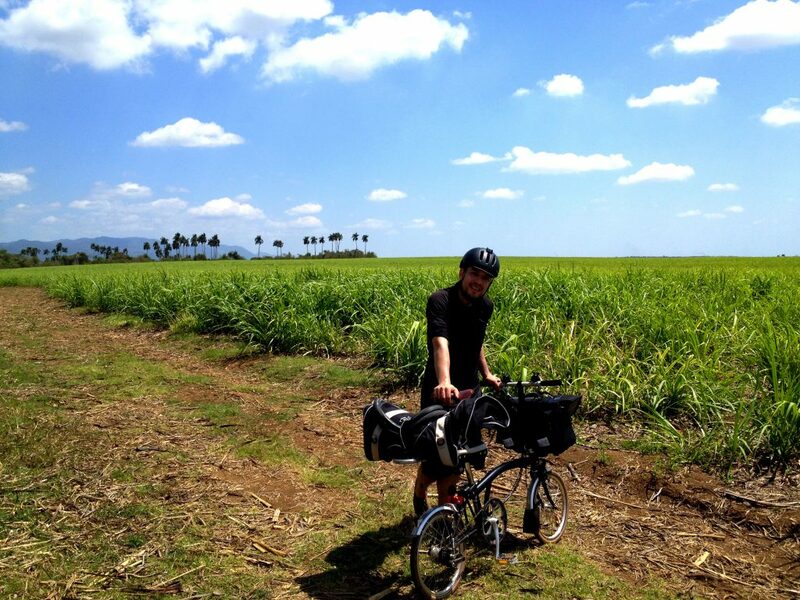 Lovely spot for a pee break – sugarcane field. Room in Hotel El Mirador. 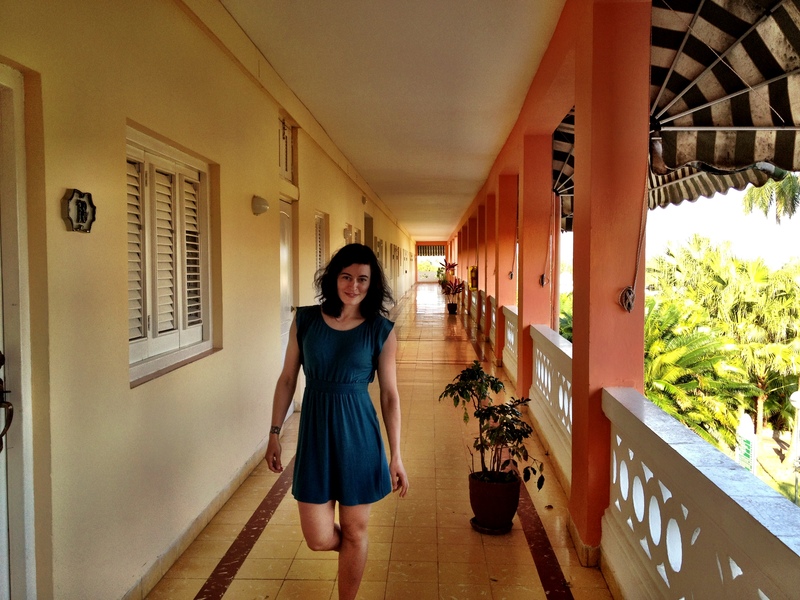 Heather in Hotel El Mirador. Empty Sunday streets of San Diego de los Banos. There’s really not much to do in San Diego de los Banos. People used to come for the baths, but the facility looks super run down now, and besides it was closed on Sunday so we couldn’t go even if we wanted to. 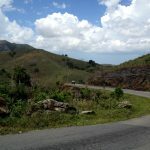 Outside of San Diego de los Banos are the caves where Che Guevara hid out during the Cuban Missile Crisis. 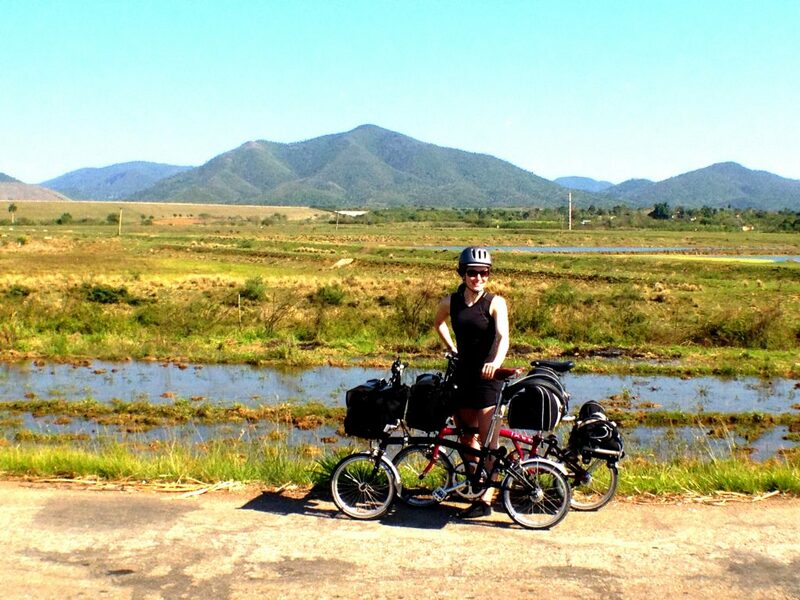 They’re only 15km outside of town, and because there was nothing else to do, we considered biking out to see them that afternoon, but decided against it – thankfully, or we wouldn’t have returned until nightfall! 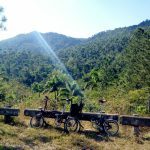 We’d find out the next day just how much the road to Che’s cave has disintegrated over the decades. So we just hung out at Hotel El Mirador, swam in the cold pool, snacked at the pool bar, hand-washed laundry, ate supper at the lackluster restaurant, and hung out at the pool again that night with a Mexican bulletproof vest manufacturer and the local Cuban DJ who acted as our translator since we can’t speak Spanish and the Mexican couldn’t speak English. He kept offering to buy our Bromptons! We refused, so instead he bought us 60-cent rums until we escaped to our room for the night. 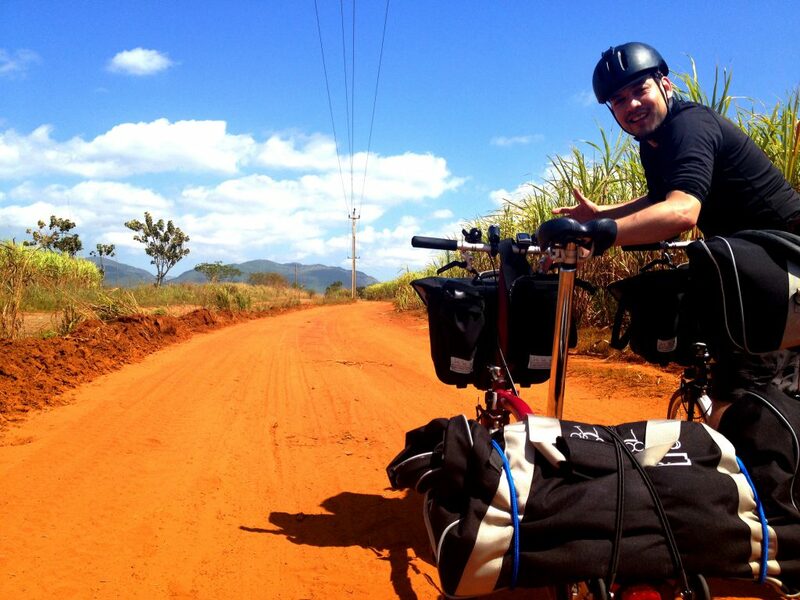 The next day… The Bumpiest, Steepest Ride Yet!